We know potential b-school candidates are busy – many already have families or have launched demanding careers. That’s why we offer several paths to the degree, including two part-time MBA programs. The Evening & Weekend program is a three-year, six-semester program, while our Executive MBA programmeets about every three weeks from Thursday through Saturday over 19 months. Both offer the same rich resources and result in the same Berkeley MBA degree. But which program is right for you? In this two-part series, we spoke with two couples in which each partner chose a different part-time program at Berkeley-Haas. 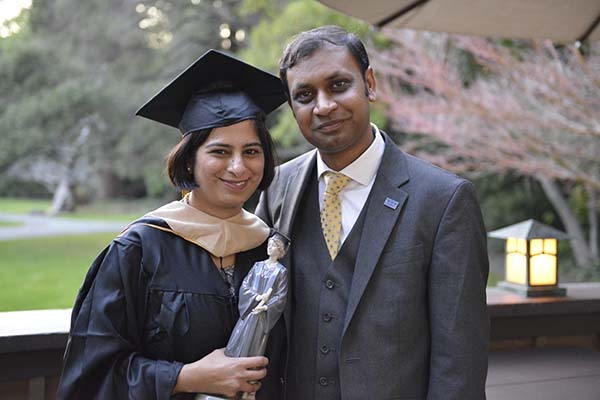 Sunnyvale-based Manish Mukherjee and Nupur Thakur have been married 14 years and have two daughters, 11 and 8. Manish is studying in the Evening & Weekend program, while Nupur just completed the Executive Program—and now the couple is working on a startup. He said: We wanted to finish our degrees before our older child goes to middle school. Teens go through so many changes – we wanted to be more available and attentive when that happens. She said: We knew if we were to get our degrees consecutively, it would take us nearly five years. We wanted to expedite that. What are/were you each doing professionally while studying at Berkeley? She said: I’m Director of Product Management at Juniper Networks’ services business. In addition, I’m on the board of Silicon Valley Product Management Association and a Berkeley Board Fellow for Girls Inc. of Island City. He said: I’m a Senior Manager of Engineering at Cisco Systems in a $1.6B annual product, leading 25 engineers worldwide. Nupur and I are also working on a start-up with a co-founder from Berkeley Engineering. Grafty Inc. heightens organization, search, and sharing functions for images and videos. How did you decide between the Executive and the Evening & Weekend MBA programs? He said: We both considered our individual needs, -- what made sense as a couple was to do different programs. And from a scheduling perspective, it worked out well. I’m gone every Saturday, then every three weeks she’s gone for three days. She said: Having worked in a functional area within business and management, I really wanted experiential training along with the academic experience. The EMBA residential format and immersion weeks were both huge factors in my decision. He said: I like my summers off, and managing the balance between work and education was key. I wanted to go deeper into entrepreneurship, and spend more time in the university environment. She said: For me it was not just a choice of which program, but also having the full campus ecosystem and the alumni network. How long will you each be in your program? She said: Manish started in May 2012 and will graduate in May 2015. I started in May 2013 and graduated in December 2014. There’s a running joke among our classmates that I started second but finished first. He said: Yeah, nice guys finish last! It’s a relay race we’ve run very strategically. What are the challenges of being a two-student household? What are the advantages? He said: Time. That was the major thing. It would have been impossible without strong family support. She said: And yet we had more time together to discuss and share things, to discover the campus and attend events. He said: We’ve been so involved not just in the work, but also in the fun. We were on a similar journey, which made it easier. 1) You'll get a phone call, the status will get updated online, and a week or two later there will be a big packet that shows up in the mail. 2) Once you get admitted, they'll send an email with details on the kroll verification. Big packet? I got a letter. Should I have received something else? I read in last year posts that it's a good sign if a current student or somebody from admissions at Haas contacts you regarding any questions. I was just wondering do the people from Haas contact you if you had any questions that your interviewer could not answer, or they just contact you in general? Does Haas admissions contact back everybody who had a question unanswered by the interviewer? Change doesn’t have to be in leaps and bounds. Smaller steps toward career advancement can provide the space to prove yourself. To take your pulse. Lauren Kalette, MBA 15, started her Evening & Weekend MBA studies with the dream of moving from graphic design at Shutterfly into a marketing position—and she is moving toward that MBA ROI. A part-time mba course load heavy on marketing electives—Strategic Brand Management, Marketing Research, and Designing & Marketing New Products—prepared her for that project with new insights and an expanded skill set. Haas@Work gave her the opportunity to use her new skills and to be part of a consulting team on a real-world marketing project for Blackhawk Technology related to customer retention. Lauren continues to expand her own perspectives, and her career prospects. Treks with the Design Innovation & Strategy and Marketing clubs took her inside companies like Frog Design and Eventbrite. She’s also exploring the field of design and innovation consulting. For now, she taking her career forward one step at a time, eager to see what is around the next corner. We invite you to explore these and more reasons to choose Berkeley-Haas. My math status has changed to complete. Did any of you receive a call from current student yet ? Just got called for a second interview (in the same round). Anyone have this happen? I've heard about this in a waitlist situation but not in the same round. That's really interesting. I haven't heard of this happening before. How did your first interview go? At least this shows that they are interested in you. Best of luck for the 2nd interview! mung35... I would like to know the same as well. I had a second interview. It's an opportunity to fill in gaps and tell your story, don't panic. In my situation it was hard for the adcom members to understand what I do in my current role because my company was unknown to them. They want to know more, so tell them more. If they weren't interested you would've got dinged. I am in a bit of a dilemma... My supervisor who was one of my recommenders to HAAS, has quit the organization . Should I communicate this information to the HAAS adcom ? It wouldn't hurt to inform them just in case. If you have already completed your application then it isn't likely Haas would need to contact them but you never know. Does Kroll also background check your extra curriculars ? They don't tell you what they check. I just wouldn't lie anywhere in the application process. 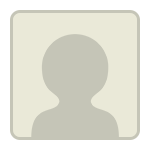 Originally posted by timbuktu1 on 18 Mar 2015, 20:57. Last edited by timbuktu1 on 11 Jun 2015, 22:49, edited 1 time in total. Just submitted application, 15 min. before deadline. Good luck everyone! Does anyone know how Haas converts Indian(%) GPA into a 4.0 based gpa ?